The Kylo Ren™ (75117) Lego set is available from the sites below. However, they do not offer delivery to your selected region. The Kylo Ren™ (75117) Lego set is no longer directly available from the sites below. However, 3rd party partners of these sites might still have the set available. 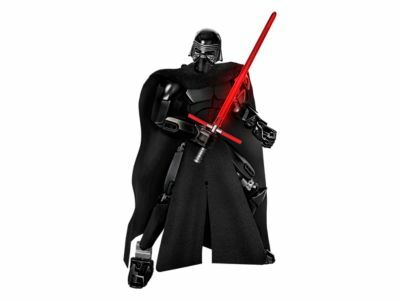 Alternate description Enter epic Star Wars battles with First Order leader, Kylo Ren, with real cloth cape and robe, Ren’s special Lightsaber and wheel-activated arm-swinging battle function.